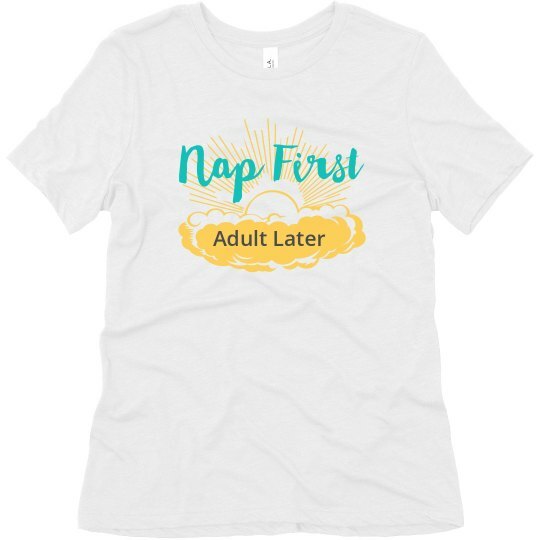 Nap first, adult later. That's the motto we're choosing to live by. Snag this funny t-shirt for a young "adult" in your life who isn't ready to be a real adult. No matter what, naps will always come first.